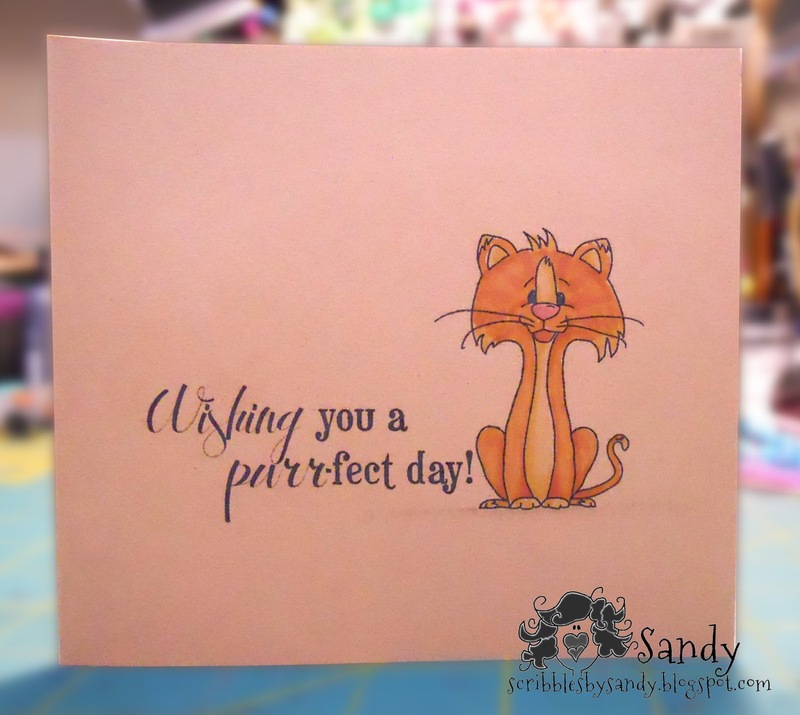 Scribbles by Sandy: Wishing You A Purr-fect Day! There are many different kinds of card making styles and clean and simple is one of them. However, not everyone sees clean and simple the same way. 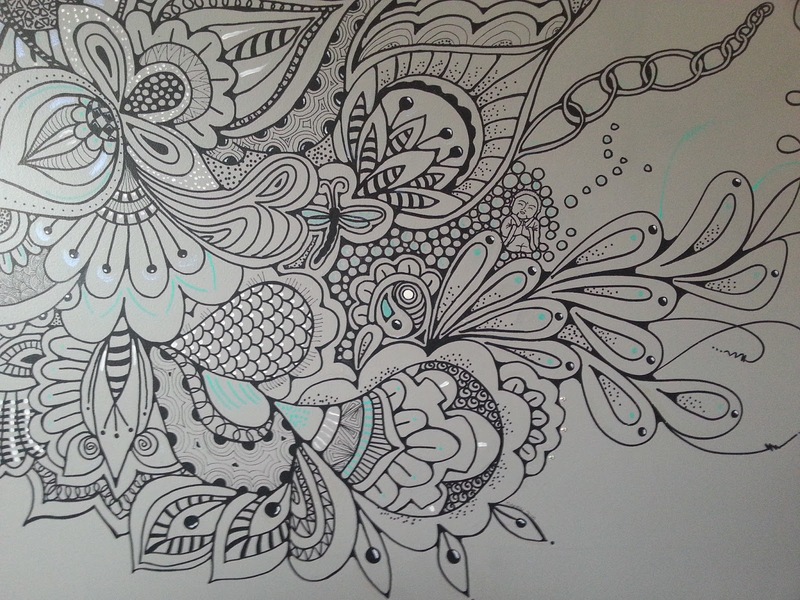 For some it might mean an uncluttered design with lots of white space, for others it might be a very simple layout but with a few embellishments here and there. For the purposes of our challenge this month, we'd like to see a very simple layout with either a minimum of embellishments or none at all, allowing the focus of your creation to be a well coloured image. 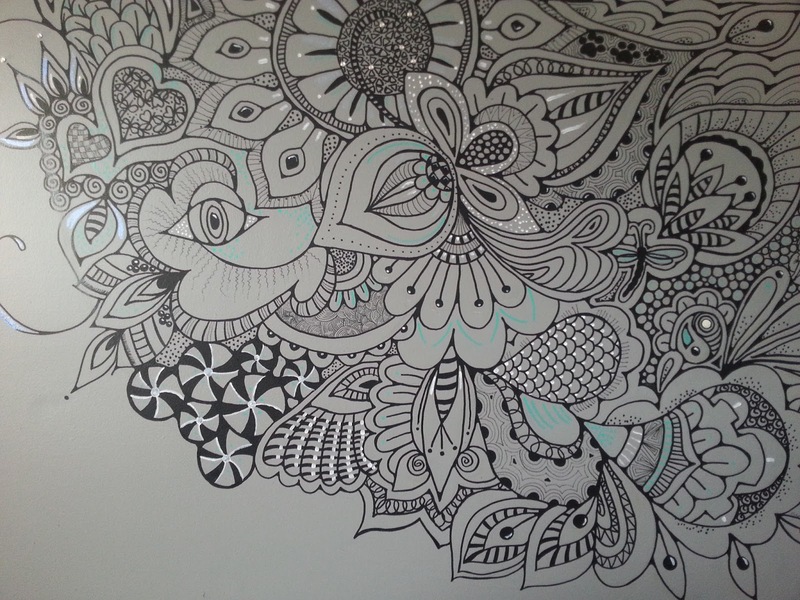 Bring on the white space and show us what you've got. A very simple CAS, directly printed on to Kraft paper and colored with copics. Both are new images from Scribbles Designs.... Aramis and Purrfect Day... It looks quite effective being one layer, doesn't it? Charli and I have been busy with classes (obedience and agility) and we will look forward to hopefully soon doing our first pre-novice trial... Yay! Adorable card! 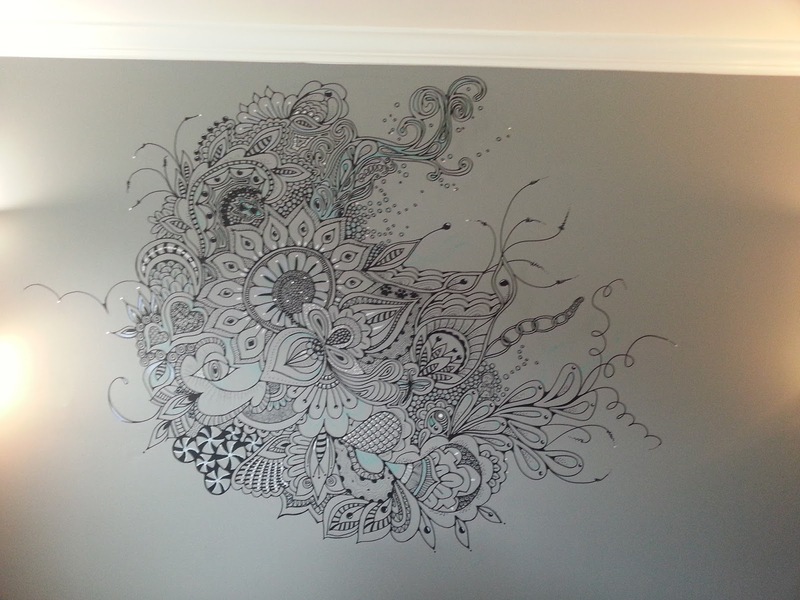 Love the wall art! Thanks for joining us at Party Time Tuesdays!